Do you also see the value in educating your employees to improve the lives of vulnerable children and youth? Do you find yourself in the middle of a busy schedule in which it can be difficult to establish a common theoretical and practical basis? Do you want to develop your own work working methods based on your own experiences and international research? Do you want to cooperate with us in order to turn your key employees into inspirational professional developers for their colleagues? Fairstart Foundation offers you and your organisation Certified Instructor Educations – a tool to educate key employees from your organisation and improve the care for vulnerable and placed children and youth. Your employees will not be send away on a seminar – every aspect of the education happens at the workplace; sharing of knowledge, professional dialogues and work schedules that will be adjusted to your daily routines. All participants from your organisation – managers, employees, children and youth – are active co-creators of a safe environment and healthy relations at the workplace. Everyone contributes with their professional and personal experiences – as experts in their own lives. You can read more about the structure and content of the instructor educations here. Click on each education to read more about it. You can also try out a free demo version. Both instructor students and caregivers are designers of their own development, working from a common set of professional principles. The instructor educations will create the foundation for a better life and a future with possibilities for children all over the world. The curriculums comply with European Qualifications Framework at level 5 (practical and theoretical skills management). See the videos and feedback from our committed instructors from all over the world! Fairstart Foundation is the first Danish organisation to use edX for our new Certified Instructor Education. EdX is a well-established platform for online education designed by MIT, Harvard and Google and is used at universities all over the world. Fairstart cooperates with the IT company Edlab from Aarhus University in creating this advanced education. The unique combination of Fairstart’s professional knowledge in childcare and Edlab’s in-depth knowledge on learning strategies and technical competences entails that the education offers a professional tool for creating local competences and skills. 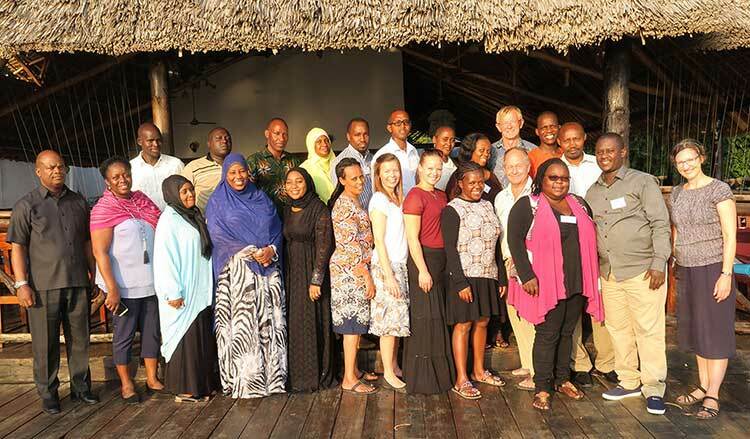 From Fairstart’s and SOS Children’s Villages’ instructor training in Zanzibar, August 2017.